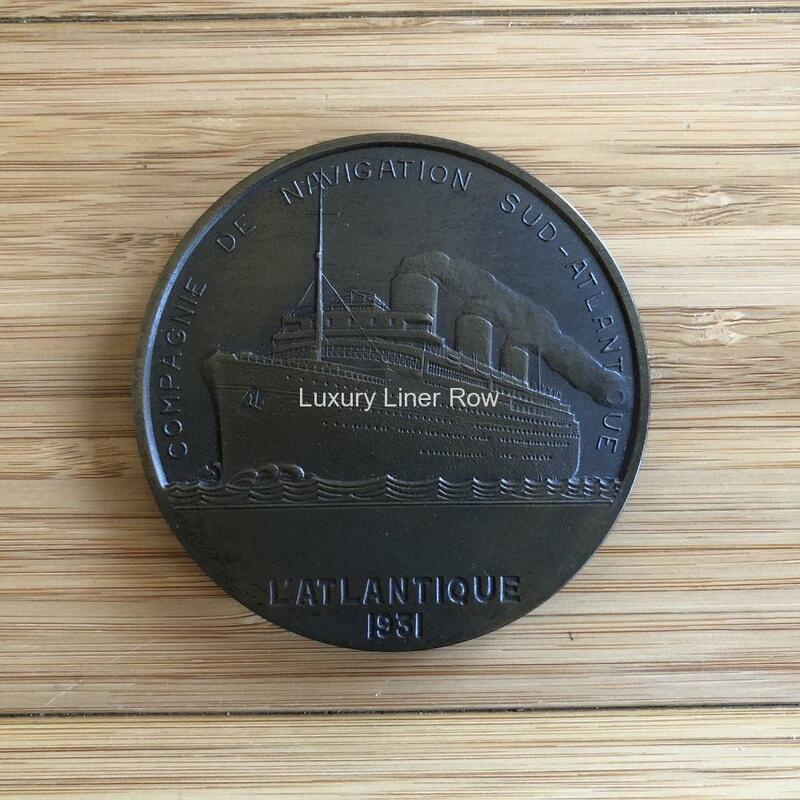 Luxury Liner Row is an ever-changing collection of the finest in ocean-liner memorabilia. I oftentimes browse the sale pages just to learn new details about my favorite ships. 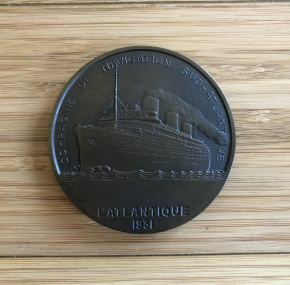 Much-desired bronze medallion for the famous paquebot ss L’Atlantique. 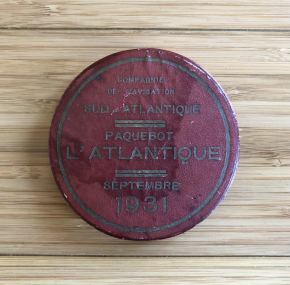 The poor L’Atlantique. We all know the story about her sad demise. She was one of a number of French ships that caught fire in the 1930’s. She was in service less than 2 years before burning in 1933 and becoming a total loss. 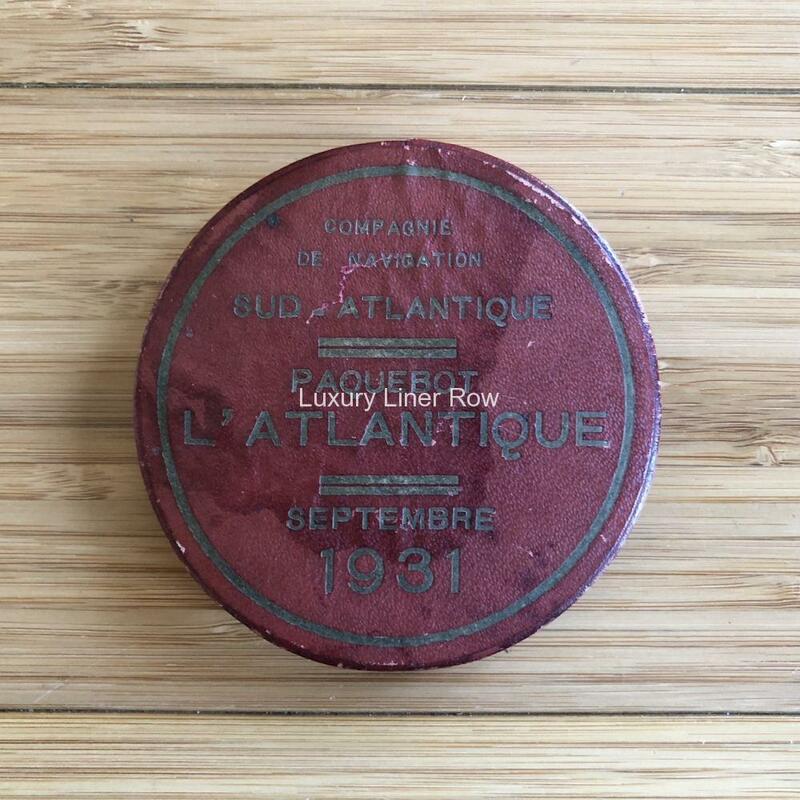 You also likely know her interiors were very Art Deco and are often considered a forerunner for the Normandie which debuted only 2 years later. 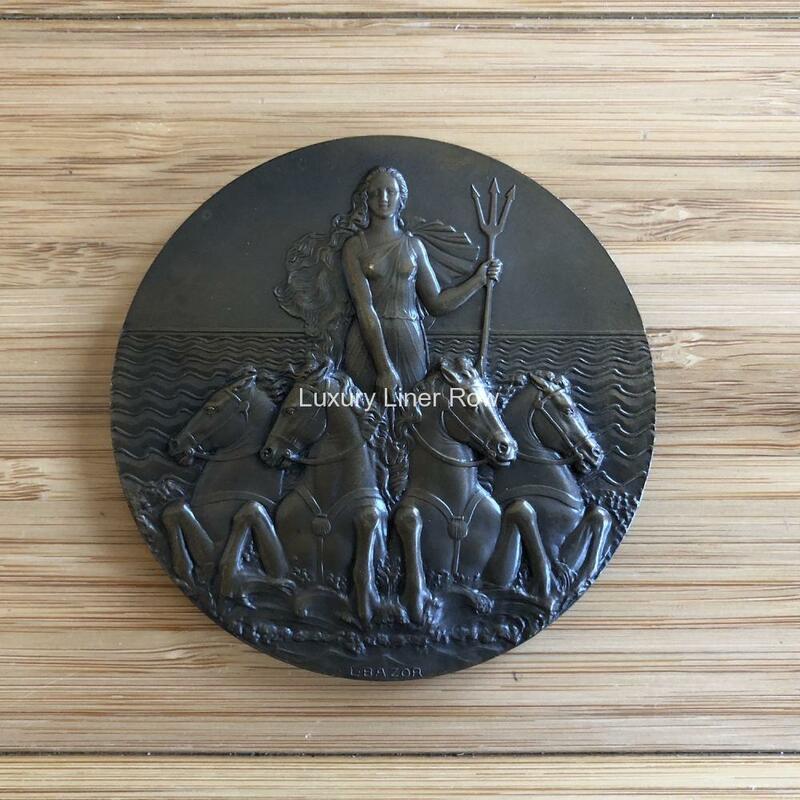 The medal is in excellent condition and comes in its original box which has some water staining. 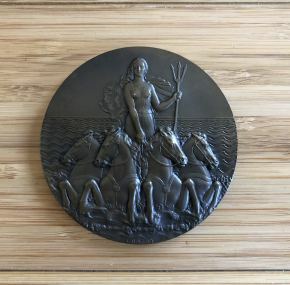 Measures about 2.5″ across. Very difficult to find!